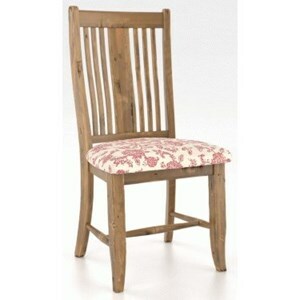 Select the perfect dining chair to complement your table. 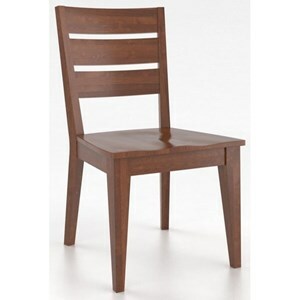 Each chair is crafted in North America of 100% solid birch. 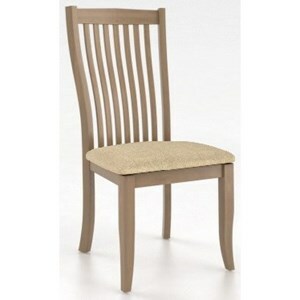 Your choice of chair can mix, match, and be customized to your choice color option in a matte or antique finish. 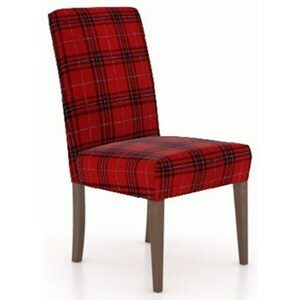 Choose from a multitude of upholstery and wood options to create a comfortable seat. 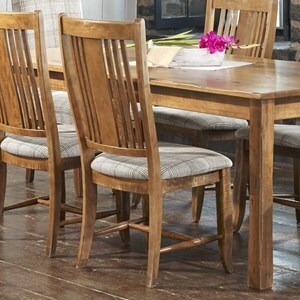 The Classic Customizable Slat Back Dining Side Chair by Canadel at Furniture and ApplianceMart in the Stevens Point, Rhinelander, Wausau, Green Bay, Wisconsin Rapids, Marshfield, East and West Madison, Wisconsin area. Product availability may vary. Contact us for the most current availability on this product. 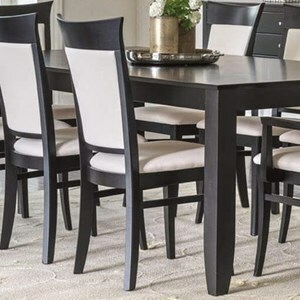 The Classic collection is a great option if you are looking for Transitional furniture in the Stevens Point, Rhinelander, Wausau, Green Bay, Wisconsin Rapids, Marshfield, East and West Madison, Wisconsin area. Browse other items in the Classic collection from Furniture and ApplianceMart in the Stevens Point, Rhinelander, Wausau, Green Bay, Wisconsin Rapids, Marshfield, East and West Madison, Wisconsin area.